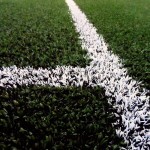 There are a number of 3G sports pitch contractors throughout the UK who can install artificial grass surfacing for football and rugby facilities at schools and clubs. 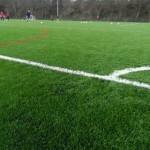 It’s important to choose a 3G sports surface contractor who is experienced and can give you the perfect sports facility which is safe and suitable for use. You can design a specification for your artificial grass pitch in a range of dimensions to suit the requirements of your organisation, and as a specialist 3G pitch installer we will be able to construct the best synthetic turf sports facility at a great value price. If you’re looking to have a full construction project for a whole synthetic grass sports facility, 3G pitch contractors can also supply you with a range of extra equipment and services to help you keep the 3G pitch in top condition. This extra equipment could include fencing in a range of heights from 3m-5m, as well as floodlighting in different specifications to suit individual budgets. We can also provide you with maintenance services including drag brushing, deep cleaning and infill top up to help you keep the synthetic 3G surfacing safe and free from any contaminations or flooding. Be sure to contact our team if you would like some more information about the services we offer. Simply complete our quick contact box to ask questions and receive a quote.